Apparently the new dog bed just doesn’t compare to the good old couch —- the red that you can see in the foreground of the picture is his new bed. Well, I have decided that I need to finally try to keep a blog. I started to do this a few months ago, but just never got around to actually posting anything. With teaching, and trying to stay ahead of my Christmas rush quilts, the last few months of 07 were just crazy for me. I am hoping that I will be able to do alot more quilting for myself this year, and have started to drastically reduce the number of customer quilts I will be doing (we’ll see how long that works though, as I tend to not be able to say no to my customers). I am so excited to currently have only 1 customer quilt in my studio and as a bonus, it is not a rush. 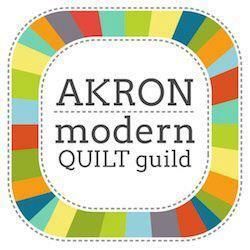 The LongArm group I belong to (OLAQ-Ohio LA Quilters) will be putting on our second event this year called “Quilting with Machines“, and I have volunteered to make and quilt our raffle quilt for this year. I am piecing it today, and hopefully I will start the quilting by Mon. (as soon as the batting I ordered arrives). I am kind of anxious to finish this project so that I can get to work on re-doing my studio. Nothing too major, but I just feel like I need a change, and a nice fresh room to get me moving on MY quilts for the year. I will be painting and getting some shelving and a countertop so I can TRY to get a little more organization in my tiny little room. Welcome to BLOGDOM. I took a couple of your classes at Deloa’s Retreat last Oct. Looking forward to reading more on your blog.